Blood and Roses – the Story of Margaret of Anjou and her pivotal role in the bloody dynastic struggle which was the Wars of the Roses. When a craving for power becomes a crusade, when two rival dynasties rip the country apart in their desire to rule it and thrones are the spoils of a battlefield, the stakes can only rise. And if the highest stake you have is your son? You play it. 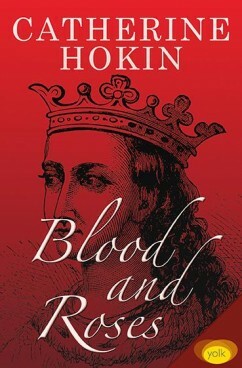 Blood and Roses tells the story of Margaret of Anjou (1430-82), wife of Henry VI, revising a woman frequently imagined only as the shadowy figure demonised by Shakespeare. This novel examines Margaret as a queen, a wife and a mother desperately trying to stave off the judgement of history by writing her own truth—a desire she knows is almost certainly doomed. It unfolds a web of intrigue, shifting alliances and secrets, revealing Margaret as a woman forced to play the highest stakes to pull a throne from the spoils of the battlefield.